The fiftieth issue of Mark magazine will be out on 1 June 2014. 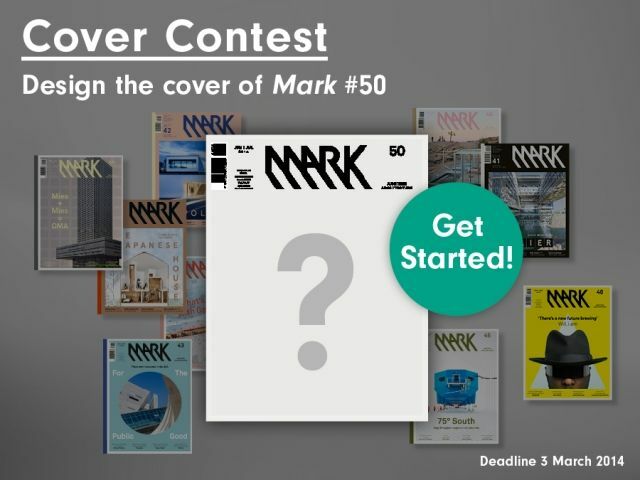 To celebrate the occasion, Mark is organizing a design competition for the cover of Mark #50. The competition is open to all interested parties: architects, graphic designers and other creative people. The winning design will be used for the cover of Mark #50, and the winner’s name will be featured in the colophon. The jury report will appear in the same issue.